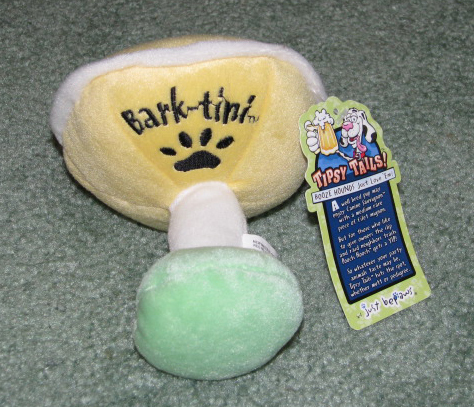 Bark-tini is a fun little stuffed toy for your dog. Your puppy may like to enjoy a conine sauvignon. There is also a squeaker in this toy. Made by Just Bepaws. Toy is about 6 inches tall and 5 inches wide. Color is as shown.